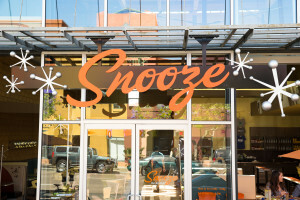 Snooze storefront at Hillcrest location in San Diego, California. Austin, Texas – (April 22, 2015) – Highland Resources, Inc. today welcomed Denver-based restaurant Snooze an A.M. Eatery, to Lamar Central, its signature Class-A, mixed-use development located at 38th Street and N. Lamar Blvd. The lease represents Snooze’s first expansion into Texas and Lamar Central’s first signed restaurant. Of the 34,000 square-feet of available retail space within the development, 3,900 square-feet will be leased by the morning eatery, which will be located adjacent to the breezeway area on the ground floor on 38th Street. The eatery will feature its signature, brightly-colored décor and offer seated and counter-service dining. The space will allow for outdoor seating, including a patio in the front, as well as at the rear of the restaurant, adjoining the 13,000 square-foot courtyard area. Snooze will offer breakfast classics, such as pancakes and eggs Benedict and will feature a full bar. Its menu will rotate seasonally with an emphasis on responsibly sourced, fresh ingredients to prepare each dish from scratch. The eatery will be open seven days a week, operating between the hours of 6:30 a.m. and 2:30 p.m., Monday through Friday, and 7:00 a.m. and 2:30 p.m. on weekends. 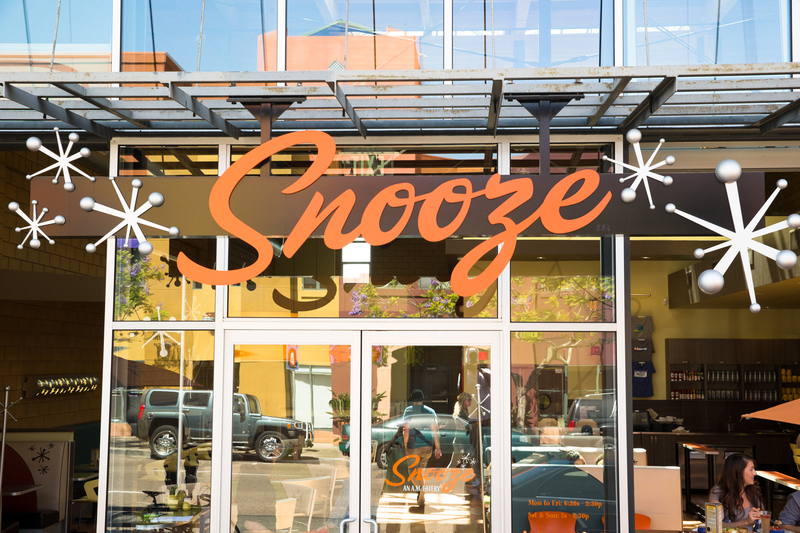 Snooze will open its doors to the public by the fourth quarter of 2015. Eric DeJernett and Bryan McMurrey of CBRE, Inc. on behalf of Highland Resources and Jeff Townsend of Edge Realty on behalf of Snooze, negotiated the retail lease. Lamar Central offers high walkability to nearby grocery and retail destinations, and is in close proximity to medical facilities, parks and trails, employment centers and a variety of housing options. In January, Highland Resources announced anchor tenant Kendra Scott Design will take over the entire fourth floor of the development, as well an additional spot on the ground floor to open its second Austin retail location. Snooze an A.M Eatery is a Denver based company that aims to change the way you think about breakfast. Since 2006, we have served breakfast with creative twists on classic dishes. We have a belief that we’re connected by a common desire to be part of something bigger than ourselves. We believe we’re all one, big family – Snoozers, partners, guests, neighbors, planet – and we strive to be a part of the communities where we live. For more information please contact Snooze at www.SnoozeEatery.com or follow us @Snoozeanameatery or Facebook.com/Snooze.official.page.